Some supplement can help with osteoarthritis. Some good choices include glucosamine, omega-3 fatty acids, SAMe, ASUs, bromelaine, MSM, curcumin, etc. Osteoarthritis (OA), a degenerative joint disease is the result of inflammation within a joint due to breaking down of cartilage. Cartilage is the gel-like material that protects the ends of joint bones by working as shock absorbers. In the event that cartilage is eroded from a joint, the bones end up rubbing against each other which causes excruciating pain and deformity. The inflammation also causes difficulty in movement. To relieve pain, people with osteoarthritis try different products as they seek to find the supplements for osteoarthritis. Several studies indicate that glucosamine has positive effect on OA, especially for OA of the hip or knee. The studies generally indicate that chondroitin is a great treatment for pain, besides reducing joint stiffness and swelling. It also relieves the symptoms of OA for about 3 months once treatment is stopped. But one of the largest clinical trials carried out in 2006 had conflicting results. The study involving 1,600 people with knee OA found that while chondroitin / glucosamine lessened pain in those with moderate OA, it failed to reduce pain in the overall group. Research is still continuing. However, most of the studies show that for glucosamine to work properly, it needs to be taken for between 2 and 4. Glucosamine / chondroitin may be used together with nonsteroidal anti-inflammatory drugs (NSAIDs) in the treatment of OA. But glucosamine / chondroitin may increase your risk of bleeding. This is more common for those who take antihypertensive medications like warfarin and clopidogrel. It is also thought that glucosamine may interact with some cancer medications. It is therefore prudent to speak to your doctor before treatment with glucosamine / chondroitin. Fish oil and other omega-3 fatty acids can help to reduce inflammation with higher doses required for best effect. The downside of omega-3 fatty acids is that high amounts can increase risk of excessive bleeding. This is more common where a person with OA also takes blood thinning medications like warfarin, clopidogrel and aspirin. A number of studies indicate that SAMe may help to reduce pain due to OA. One study found that SAMe was as effective as NSAIDs in pain relief. Another study involving people with OA of the knee found that SAMe worked as well as Celebrex to lessen pain and improve joint function. However, SAMe takes longer to take effect. But SAMe can interact with some drugs, such as levodopa, antidepressants, dextromethorphan, Demerol (meperidine), and Ultram (tramadol). Note that people with bipolar disorder should avoid SAMe as it may increase risk of mania. Discuss with the doctor before taking SAMe. Some studies of this natural supplement indicate that ASUs can reduce symptoms of osteoarthritis and may even slow down disease progression. However, more research is required to find out if ASUs are some of the best supplements for osteoarthritis and if they can stop joint damage. ASUs have a downside in that they elevate the risk of bleeding, more so in people who take blood thinning drugs like plavix (clopidogrel), aspirin and warfarin. Bromelaine is an enzyme that originates from pineapples. Bromelain fights inflammation. However, it increases risks of bleeding in those who take blood thinning drugs like plavix, warfarin and aspirin. If you suffer from stomach ulcers, avoid bromelain. Using turmeric together with bromelain increases its potency. Methyl-sulfonyl-methane (MSM) is the main form of sulfur found in the human body. Sulfur is found in all cells of the body and is a critical nutrient required for the health of joint tissue. Its functions include stabilizing connective tissues including tendons, ligaments and cartilage. 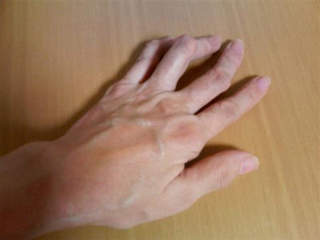 About 100 years ago, it was found that people with arthritis usually have sulfur deficiency. It was found that restoring the levels of sulfur, significantly improved these people’s arthritis. 1,200 - 2,000 mg per day is the typical MSM dosage. This natural combination of estrified and cetylated fatty acids helps to reduce pain and inflammation fast. Additionally, clinical trials show that Celadrin has no side effects. You can get Celadrin in either cream or capsule forms. The cream is applied to the affected joint area when needed while dosage for the capsules is three daily. Curcumin is another of the best supplements for osteoarthritis. Curcumin comes from the tuber of curcuma longa (turmeric). It is the yellow pigment material that also gives curry powder its distinct yellow color. Many scientific studies have shown that curcumin has powerful anti-inflammatory properties. A product like Theracurmin derived from curcumin is highly bioavailable. This makes it a great choice for improved function of the affected joints. 180mg per day is a typical Theracurmin dosage. In Ayurveda, Boswelliaserrata has been used to treat osteoarthritis for hundreds of years. In recent times, the gum resin, salaiguggul is processed into a product containing the active boswellic acids which give better results. Studies of the boswellic acid extract demonstrate that it has significant anti-arthritic properties. It works in a variety of ways to inhibit the actions of inflammatory mediators thereby preventing or decreasing synthesis of the cartilage and improving supply of blood to the joint tissues. Additionally, Boswellia herbal preparations have been found to help in both osteoarthritis and rheumatoid arthritis. The typical dosage is 400 mg taken three times daily. Devil’s claw also known as grapple plant helps to decrease pain related to OA when taken on its own or together with a NSAID. Some studies have shown that when the herb is used over a period of four months, it works in a similar manner to the osteoarthritis drug known as diacerein used to treat pain in the knee and hip. A study using powdered devil’s claw found that some of the study participants could comfortably take lower doses of NSAIDs as well as pain-reducing medications. The herb may, however, interact with interleukins. While it is tempting to consider buying these probable best supplements for osteoarthritis, professionals recommend that you discuss with your doctor first. Note that although you don’t require a prescription for them, supplements may have side effects. Besides, some supplements may have adverse interactions with medications like blood thinners and antidepressants.